Wow! 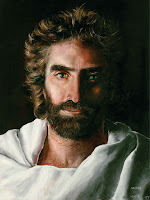 This girl, Akiane Kramarik, is an amazing Artist & Poet! Colton Burpo's account of visiting heaven when he nearly died of a burst appendix at the age of 4 is the subject of the book "Heaven Is for Real," and an illustrated edition for children, "Heaven Is for Real for Kids." Now aged 12, the son of Nebraska pastor Todd Burpo recounted sitting in Jesus' lap, meeting John the Baptist and his own departed great-grandfather, and having angels sing to him during his near-death experience. Akiane Kramarik ( /æˈkiːænæ/; born July 9, 1994) is an American poet and artistic prodigy. Akiane Kramarik was born in Mount Morris, Illinois to a Lithuanian mother and an American father. She is homeschooled. She is primarily a self-taught painter. However, she states that God has given her the visions and abilities to create her artwork, which is unusual for her family, considering both her parents were atheist at the time (they later converted to Christianity on account of Kramarik's paintings and visions). Kramarik started drawing at the age of four, advancing to painting at six, and writing poetry at seven. Her first completed self-portrait sold for US$10,000. A portion of the money generated from sales is donated by Kramarik to charities. According to Kramarik, her art is inspired by her visions of heaven, and her personal connection with God. Kramarik's art depicts life, landscape, and people. At the age of 10, she appeared on The Oprah Winfrey Show and at the age of 12, on CNN.